1st of all there is a new mob! Divers can be found in oceans and lakes where they look for treasures on the seabed. 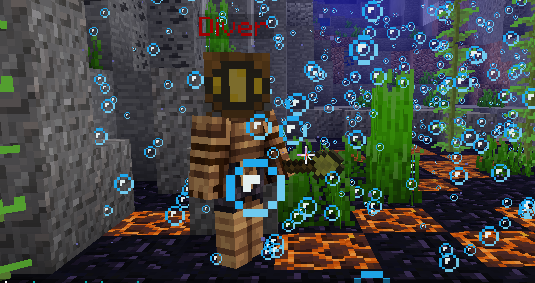 They have the ability to pull you to melee range and do low/medium damage, also on death they have a chance to drop all sorts of sea based loot including corals / prismarine / sea pickles / kelp and even a 1% chance to drop a trident! As 1.13 hasnt been kind custom mobs will be re added to the server 1 by 1, this goes for classes too. Next we will be removing LWC due to slight lag, it will be removed say the 1st of sept to give players a week to move their stuff or protect with towny. ExecutiveArka Also is there be an alternative chest protecting plugin in mind? ExecutiveArka Mayors and town assistants will be able to loot those chests btw. Money, items (in chests) and ranks have carried over but the rest should be unexplored. Vampire/Demon etc has been temporarily disabled due to bugs but races should be fine. If you find any bugs feel free to let us know via discord or enjin. Lastly and most importantly explore and enjoy! Hello! 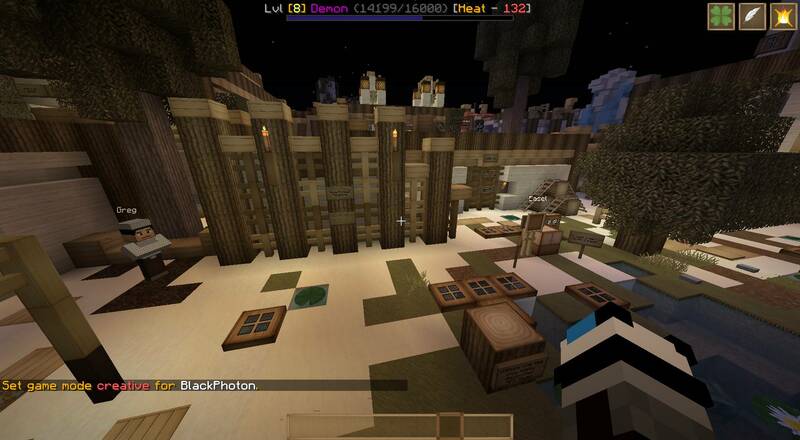 We challenge everyone on the server to do one simple task: complete the Tree Maze. You can access it by clicking the sign near the AFK stump! See you there and good luck! Greetings, and don't panic just yet. 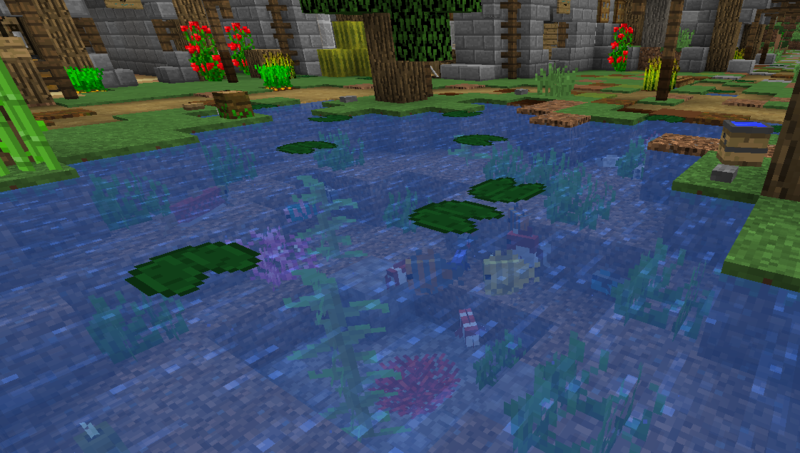 With 1.13 already out, we intend on updating as soon as plugins and such will be stable and lag won't be as severe. Due to the extensive change to the ocean biome, we will have to reset our map or leave barren gravel wastes and miss out on all the opportunity. With a reset comes the loss of buildings and items, however we know everyone works hard to gain and retain their gear and homes, so we are offering a safe haven. There is a warp sign at spawn near to the entrance tunnel that will take you to a chest room. You will be given three double chests to lock as your own (all stacked atop eachother). Inventories and enderchests will be cleared, so ensure you gather all of your items you'd like to keep in your chests. Feel free to use shulker boxes to hold even more items, as they compact a single chest worth of items into a single space. NOTE: If you lock more than three chests you will be banned from the storage area and all stored items may be lost. We will expand the storage area to accomodate all players as the need arises. We will announce the date the server reset will happen a week or two in advance to the event, so everyone can continue to play normally right up to the reset and not be concerned about losing their inventory suddenly. The storage area will be open starting August 3rd and stay open long after we reset and update. Until then, have fun and play like normal, and we'll keep you updated on all happenings. MrSackington Does this mean builds will not be saved or is it still undecided? Support Tickets and New Changelog! Hello everyone! If you read the new changelog, you may know that we added a ticket support plugin! Here are a few useful commands for you! Please note though that once you log out, your ticket is marked as done! If you do have to go, you can also make a contact us application! You can vote for the server and get rewarded with money and points! A little tip; Hold CTRL while clicking [vote], it'll open a new tab.